Students will learn about the history, cultural heritage and environmental value of Australia’s stock routes. Students will develop a deeper understanding about wildlife corridors and their role in flora and fauna diversity. In your own words describe what a stock route is. It is legal to herd livestock across the Sydney Harbour Bridge. True or false? How were stock routes designed to help drovers and their livestock survive the journey? Illustrate the journey of a drover and their livestock travelling via stock routes. Nowadays how can you tell that you are driving on a stock route? How long does Bill Little expect his journey will take from Qld to NSW via stock routes? List the animals that Bill is taking on his journey. 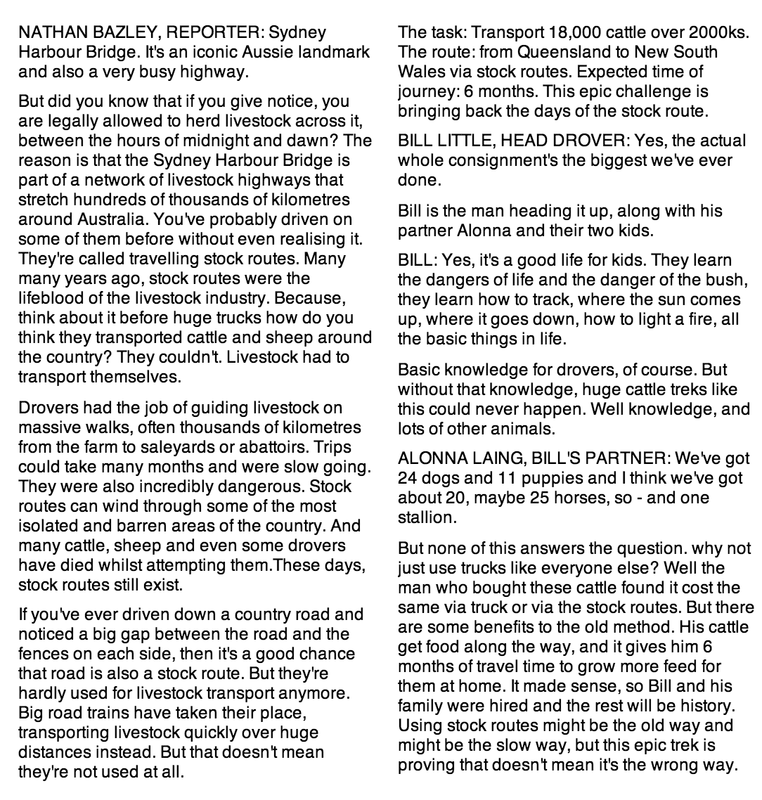 Why has Bill decided to transport his cattle via stock routes instead of using a truck? What are some of the benefits of transporting livestock via stock routes? Watch the BTN clip below. Answer the questions on the right. Choose four types of drinks and 4 types of packaged foods. 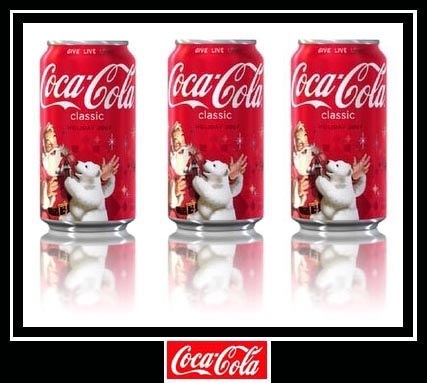 You need to take a photo of each product and measure out how many teaspoons of sugar is in each product. I will have a measuring station, zip lock bags and sugar at school. Remember that there is 4.2 grams of sugar in each teaspoon. Therefore, you can use your calculator to work out how many teaspoons of sugar are in each product by dividing the amount of grams of sugar and dividing it by 4.2. 1. Discuss the Slimming soft drinks story with another student. 2. Why is the mayor of New York City concerned about obesity? 3. In your own words, describe what he plans to do. 4. What has happened to the size of soft drinks over the years? 5. The super-size ban would also affect diet soft drinks. True or false? 6. Apart from soft drinks, what other drinks would be affected? 7. Why are some people opposed to the ban? 9. Do you think super size soft drinks should be banned? Explain your answer. 10. What else could be done to address the obesity problem? Click here for the full transcript of the video clip. Remember you can use the speech tool on Pages to listen as you read. Click here for a copy of the questions. Open the Question sheet below. Click on the picture to go to the link. Watch the link, make notes. Answer the questions.